Coventry City XI to visit! 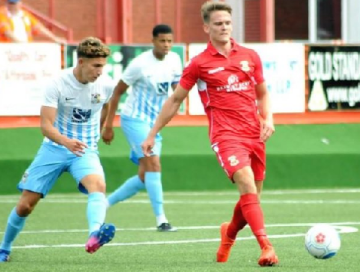 In a change to our original pre season schedule, we will now welcome a Coventry City XI to The Lamb on the evening of Tuesday July 24th, 7.30pm kick off. This replaces a previously arranged away fixture, meaning that we currently have five home pre season games, as well as three away trips, to Atherstone, Stafford Rangers, and Belper Town respectively. There is also the possibility of an additional fixture being added on Saturday August 4th, before The Southern League commences the following weekend.